Why do anti-fluoride candidates standing for District Health Boards (DHBs) shy away from proper discuss of community water fluoridation? After all, they have usually raised the issue themselves – and often claim that those supporting CWF avoid the discussion. In my article Fluoridation & democracy: Open letter to DHB candidate Andrew Buckley I raised this with Andrew Buckley who is standing for the Waikato DHGB. Despite writing an article on the issue on his webpage he refused to allow any proper discussion of the issue there. He allowed slavishly anti-fluoride comments but nothing from anyone who specifically disagreed with his (often incorrect) claims. My open letter to him was an attempt to get that discussion going. I even offered him the right of reply and space here – but he refused. He effectively ran away from an issue he had raised himself. Now this is also happening with Stan Litras, a candidate for Capital and Coast DHB. Stan is a well-known anti-fluoride campaigner – often producing anti-fluoride press releases from his astroturf one-man group “Fluoride Information Network for Dentists” (FIND). He is clearly standing on an anti-fluoride ticket and the discussion on his campaign Facebook page makes that clear. That is completely misleading. I have often critiqued his claims and have particularly taken issue with his misrepresentation and distortion of the science. I have always offered him a right of reply and he has always rejected it. If he can “defend” his “opinion” why does he run away from such discussions? Far from welcomin g discussion of their claims these candidates actually do everything to prevent proper discussion. Andrew Buckley banned any comments from me (and presumably anyone else critical of his claims) on his page. And now Stan Litras has done the same. He removed some comments taking issue with his claims (one of them was mine) and has presumably banned the commenters. Hehas certainlyy banned me from further comments. This is how he justifies his actions. And isn’t it hypocritical for him to label others as “pseudoscientific” and blame them for the fact that he is standing specifically as an anti-fluoride candidate? I know how confusing it is so hope you haven’t been fooled by any of these anti-fluoride candidates. A Spinoff article Quack hunt: Our vital tool for stopping anti-science crackpots infiltrating your DHB is useful guide to the candidates for DHB positions. A recent ruling from the New Zealand Press Council warns against news media publishing press releases from biased groups without providing context or seeking comment from any other party. The ruling resulted from a complaint by Toi Te Ora Public Health Service against the coverage of the fluoridation issue by The Whakatane Beacon. For the full ruling see Source: TOI TE ORA PUBLIC HEALTH SERVICE AGAINST WHAKATANE BEACON. “Dentist group dispels dire warning message” provided by Stan Litras, spokesman for Fluoride Information Network for Dentists (an anti-fluoridation group). It asserted the Bay of Plenty DHB claims that increased tooth decay would result from removal of fluoride were not supported by reliable metadata studies. “No Fluoride commonsense to campaigner” gave the views of Jon Burness, Fluoride Free Whakatane spokesman. He claimed reports that Ministry of Health figures show no justification for adding fluoride. Anti-fluoridation groups like Litras’s Fluoride Information Network of Dentists (an astroturf group for Fluoride Free New Zealand) are constantly providing press releases misrepresenting studies and experts. These manufactured press releases are circulated within the international anti-fluoride network and the tame websites and magazines run by the “natural”/alternative health industry. Occasionally they end up being published in more reputable mainstream media outlets where they can do more damage. It would be nice to think the mainstream news media was sufficiently responsible to actually check out the claims being made by such obviously biased groups. It seems a simple principle to actually check with the experts or organisation whose data is being used in the press release (the Whakatane Beacon slipped up there). 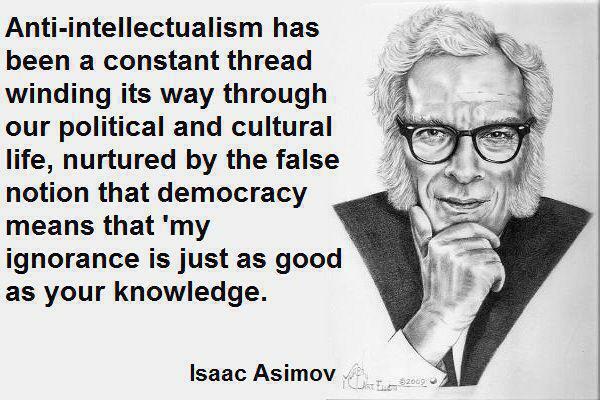 But it would also be nice to think that responsible news media attempts to provide balance when they are producing articles critical of scientific findings – even when provided by a maverick scientist into self-promotion. It surely doesn’t take much to work out which expert or institution should be asked for a balancing viewpoint. Yes, I know. This is getting boring. A local anti-fluoride campaigner misrepresents research on fluoridation – yet again. Perhaps I should apologise for yet another article debunking this sort of misrepresentation. In my defense can I just say this is just such a clear example that it can help drive the message home. These people cherry-pick research from areas of endemic fluorosis in China and India – pretend they are relevant to New Zealand or the USA – and ignore those studies which are relevant to countries which carry out community water fluoridation. Stan Litras is (yet again) the guilty party. He has disseminated a press release, FIND cites new research, which will, of course, be reproduced by the Fluoride action network and make its way into the “natural”/alternative health media. That will, in turn, be cited by other anti-fluoride campaigners as “proof” that community water fluoridation is harmful! Das, K., & Mondal, N. K. (2016). 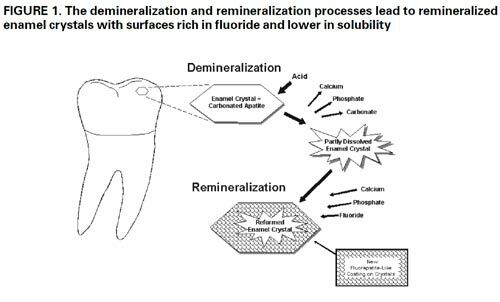 Dental fluorosis and urinary fluoride concentration as a reflection of fluoride exposure and its impact on IQ level and BMI of children of Laxmisagar, Simlapal Block of Bankura District, W.B., India. Environmental Monitoring and Assessment, 188(4), 218. 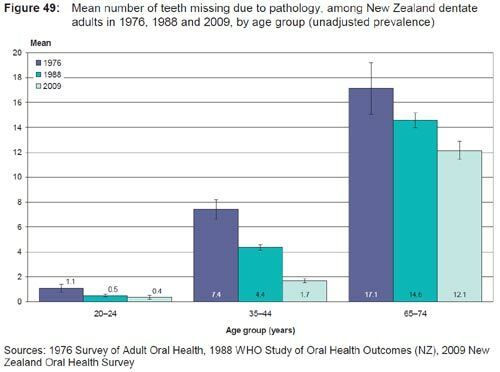 Whatever its findings we can see how inapplicable that research is to New Zealand by comparing its data for dental fluorosis with similar data for New Zealand, USA and China. In this graphic below I compare prevalences of the mild forms (“none,”, “questionable,” very mild,” and “mild”) with the prevalences of “moderate” and “severe” forms. Only the latter forms are of concern (the milder forms are usually considered positively by adolescents and parents – see Water fluoridation and dental fluorosis – debunking some myths). 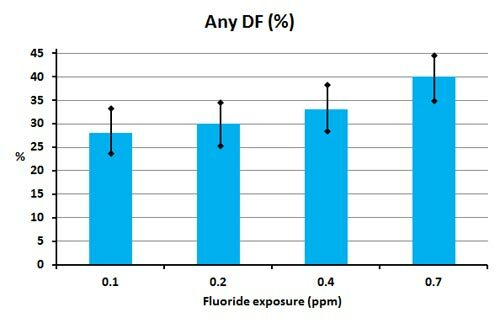 The figure contrasts data for prevalence of dental fluorosis in NZ and theUSA where CWF is common with data for an area of endemic fluorosis in China and data from this paper (Das). While there is hardly any dental fluorosis of concern in USA and New Zealand these forms are very prevalent in the region of India covered by this study and a similar region of endemic fluorosis in China. Or perhaps we should look at some more graphic evidence. Das et al., (2016) include the photo at the head of this article as an example of skeletal fluorosis found in the subjects they studied. And the photo below as an example of dental fluorosis found in their subjects. Example of dental fluorosis observed by das et al., (2016) in subjects studied. Come on Stan – how often have you seen dental and skeletal fluorosis like this in New Zealand? It is just not honest to cite this study in any discussion of the New Zealand situation. It has absolutely no relevance here. 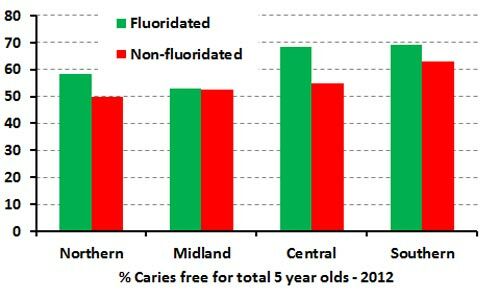 These researchers found no influence of community water fluoridation on IQ – see figure below. So yes – just one more example of how local anti-fluoride campaigners are misrepresenting research on fluoridation. But a clear example of cherry-picking overseas studies irrelevant to community water fluoridation in New Zealand while, at the same time, ignoring New Zealand studies relevant to community water fluoridation.